This Action Plan is the second iteration of planning in the Coquille watershed and updates the Phase 1 Watershed Action Plan completed in November of 1994. Pacific-northwest regional and statewide issues including water quality and anadromous fisheries were the impetus for the current update of the Coquille Watershed Action Plan. The Action Plan is a working document characterizing watershed conditions from a land-scape perspective based on local issues; specifically the anadromous fishery. The document represents the current understanding and available knowledge of conditions and needs in the Coquille River watershed and adjoining areas. It is intended to complement the Oregon Coastal Salmon Restoration Initiative (the Oregon Plan) at the local level. The Action Plan was developed with information from, and participation of, the local Technical Advisory Group. 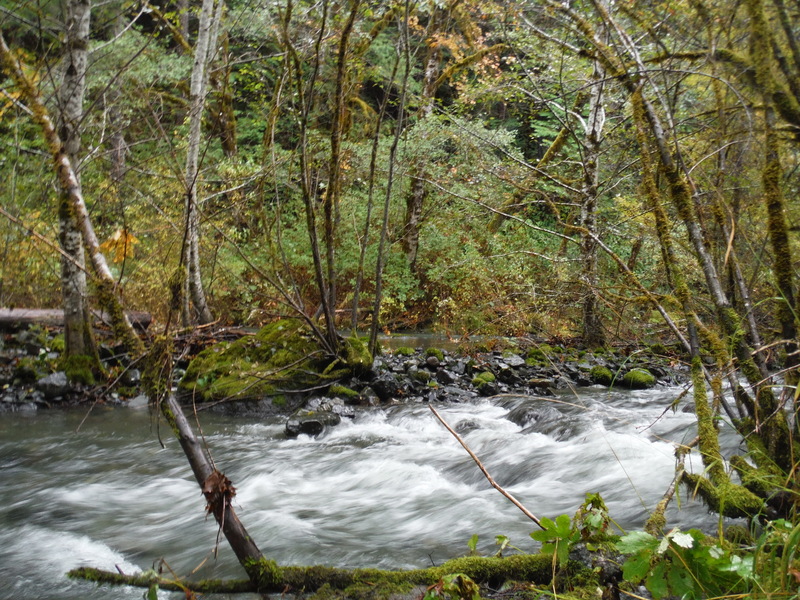 This document will be used extensively by the Coquille Watershed Association (CWA) and provides a framework for identifying and prioritizing restoration and enhancement actions. It will be used to help coordinate local federal, state, and private efforts and funding to implement those actions on both private and public lands. CHAPTER 1 – INTRODUCTION Chapter 1 introduces the purpose and scope of the Action Plan and the need for updating the 1994 Plan. It also introduces the concept of Watershed Associations from a statewide perspective and, locally, the Coquille Watershed Association’s mission, goals, and objectives. The remainder of Chapter 1 describes the Coquille River and it’s major forks, and the local climate, geology, land uses and ownership. CHAPTER 2 – THE COQUILLE FISHERY – This chapter covers the life history and pertinent information on selected fish and shellfish found in the Coquille watershed. CHAPTER 3 – LIMITING FACTORS This Chapter contains a discussion and comparison of natural and man-caused factors which may be limiting water quality, water quantity, habitat access, and habitat elements important for anadromous fish species in the Coquille watershed. There is also an historic overview of impacts to these habitat components. CHAPTER 4 – ACTIONS AND OBJECTIVES For projects to be successful, actions must compliment the physical properties of the streams and adjacent landscapes. This Chapter describes stream reaches by a geomorphic characterization of channel forms and processes. The resulting zones are a useful way to group streams since those which have similar forms and processes are likely to respond to management and restoration in a similar manner. Chapter 4 identifies potential limiting factors by stream zone followed by appropriate activities and objectives to deal with these factors. Relevant regulations and completed restoration projects are listed. CHAPTER 5 – PRIORITIES FOR ACTION This Chapter develops a conceptual framework for identifying, prioritizing, coordinating, and accomplishing short and long-range restoration actions. CHAPTER 6 – MONITORING This Chapter covers monitoring: what a monitoring plan should do, different types of monitoring, and sample monitoring parameters and methods. Current statewide and local monitoring efforts are addressed. Monitoring results will be used for future Action Plan updates. Watershed planning is a dynamic, continuing process, no final solutions are intended. As new information becomes available and/or as the physical or economic situation changes, the current objectives, actions, and plans will likewise change. This is only the beginning of our work in the Coquille watershed.